At the presidential session on Friday 29 March, the President of the Republic decided to appoint a new Head of Mission to NATO in Brussels and Rabat. The President of the Republic decided to appoint Counsellor for Foreign Affairs Klaus Korhonen to serve as Head of the Mission of Finland to NATO in Brussels from 1 June 2019. Korhonen is currently Senior Adviser at the Ministry's Unit for Policy Planning and Research. Previously he has served as Ambassador for Arms Control and worked as Head of Mission at Finland's Embassy in The Hague. In 2016–2017, he worked as President of the Conference of States Parties (CSP) of the international Arms Trade Treaty (ATT). Korhonen joined the Foreign Ministry in 1987. He holds a Master of Social Sciences degree. 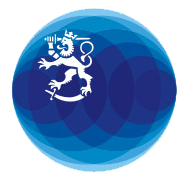 The President of the Republic appointed Counsellor for Foreign Affairs Pekka Hyvönen to serve as Head of the Mission of Finland in Rabat, Morocco, from 1 August 2019. Hyvönen will transfer to Rabat from the Ministry's Department for Europe, where he is currently Senior Adviser on Migration. Previously he has worked as Finland's Permanent Representative at the Permanent Representation of Finland to the Council of Europe in Strasbourg and served as Finland's Ambassador in Hanoi. In the Diplomatic Service, he has held posts in Canberra, Tehran and Paris. In the Ministry, he has worked in the Legal Service, Political Department, and Department for the Americas and Asia, and as Director General for Consular Affairs. Hyvönen joined the Foreign Ministry in 1986. He holds a Master of Laws degree. Inquiries: Pirjo Tulokas, Deputy Director General for Personnel, tel. + 358 295 351 413.